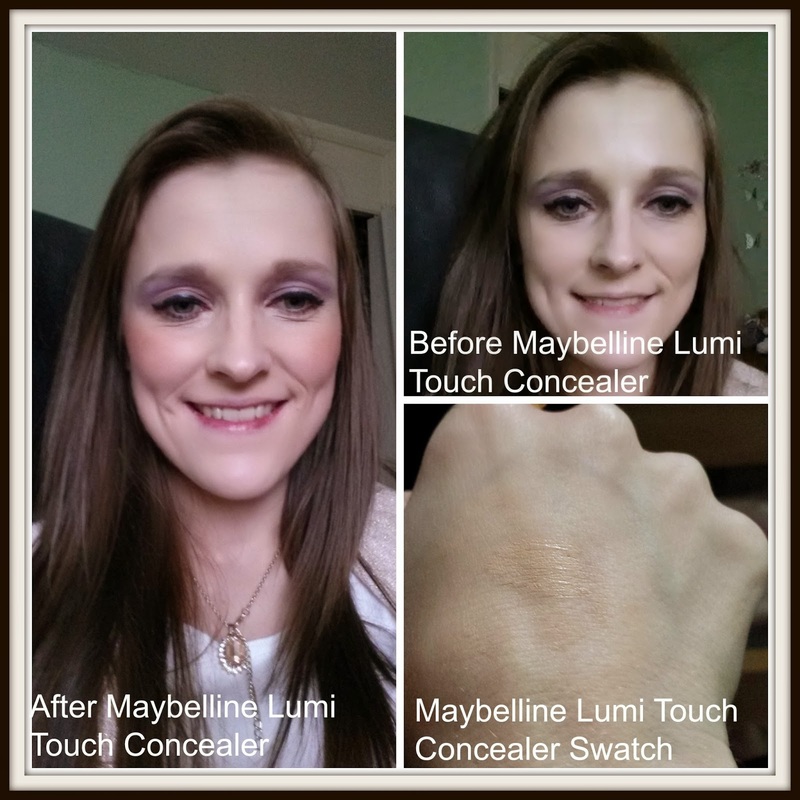 Maybelline Lumi Touch is a highlighting concealer that claims to use a gel based formula to diffuse light and highlight as it conceals. Available in 6 shades the Lumi Touch is allergy tested, noncomedogenic, suitable for sensitive skin and for all skin types. The concealer uses a twist cap to dispense the product and I initally had to twist it about 15 times before any product emerged. Once you manage to get the concealer to appear you will need to twist it quite slowly as it dispenses a lot of product each time you twist it. There is a buildable brush extension at the end of the pen which you can use to build up the product. Rather then using the brush I dotted the product on then used a concealer brush to apply. I chose the lightest shade in 01 Ivory and I really liked how close to my skin shade it was. I have quite noticeable dark circles and felt that whilst the concealer does lighten them somewhat I don’t feel they were completely eliminated, especially on the right side. I also used this on a small blemish and it concealed probably about 60% of it. I don’t think the Lumi Touch has amazing staying power, but it does last a few hours. If you wear this during the day and go out in the night you will have to reapply as it seems to completely sink into the skin. If you have dry skin you may need to moisturise before use to avoid the product sinking into the dry skin and making it stand out. The product works well as a highlighter on its own but you won’t get the shimmery effect from a typical highlighter. "Celebrate Christmas 2013 in style with Furniture Plus fantastic dining sets"